Initially, the novel received rave reviews from critics at The New York Times (“’The Goldfinch’ is a rarity that comes along perhaps half a dozen times per decade, a smartly written literary novel that connects with the heart as well as the mind.”) and elsewhere, often calling it “Dickensian” literature. But, in recent news, ‘The Goldfinch’ has been the target of criticisms made by a select group of even higher brow literary agents at The New Yorker, The New York Review of Books and The Paris Review. All of which claim ‘The Goldfinch’ to be infantilizing our literary culture contemporarily and in the future. Is the success of a novel subjective to each reader? Are the best pieces of literature characterized only by the highest form of scholarly language and complex story lines? What is the difference between a novel as an art form and a novel as a form of entertainment? Is there a difference? Isn’t writing, itself, a form of art? 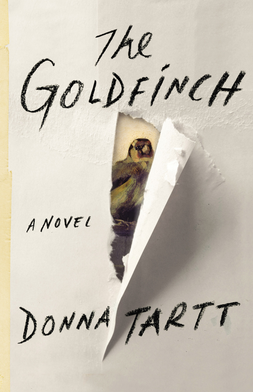 Is ‘The Goldfinch’ propelling our literary culture forward? Let’s think about this: Whether the book is deserving of “literary praise” from highbrows or not, it proves to possess the kind of effervescent storytelling that captures audiences (it has sold over 1.5 million copies in nine months) and sparks conversation (much like this one). If the only thing literary stalwarts are judging their idea of a “good novel” off of is the seriousness and maturity of the language rather than considering the intellectual conversation it ignites, then perhaps they are ignorant to the greater meaning of novels. I understand many of them are worried about the preservation of literature, but I have undoubted confidence in the literary culture of millennials. For starters, my literary affair with ‘The Goldfinch’ left me compelled, inspired and asking for more. I think it appealed to universal truths and created a sub-genre all its own. I’m not sure what else the future could demand of a novel, are you?